Welcome to Central East Region Summer Institute 2019! We are so looking forward to seeing you at CERSI this July! It’s a big year for CERSI, starting with our new name (though we might still slip and call ourselves SI at times). 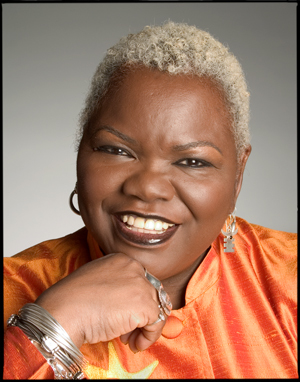 We are honored and thrilled to have Dr. Ysaye Barnwell unite us in Building a Vocal Community®. Her program as our theme speaker promises to be inspiring, informative, and engaging. And we are celebrating our 40th year of co-creating an intentional community. So many good reasons to make sure that you and your family are in Oberlin with us this summer! For those of you returning, you may notice some changes. We’re excited about our new name, CERSI, a new website: cersiuu.org, and a new facebook page: CER Summer Institute. Check out the new website in particular – it’s much more user-friendly and searchable. Even returning folks may learn something! Other changes: We’re experimenting with a new location and time for the bookstore so be sure to watch for signs/announcements. At Oberlin’s request, we’ll be using fewer dorms this year, so this might be your chance to try out a new place to rest your head and meet some new neighbors. For those of you joining us for the first time, I hope you find a little SI magic. Look for fairy rocks. Sing with the sacred song circle. Make a new friend. Stop listening to the news and enjoy the music. Bring your enthusiasm and your good intentions for UU community. Your CERSI is what you make it. Together we create it for each other. CERSI’s Morning Theme Speaker in 2019 will be Dr. Ysaye Barnwell, an inspiring and beloved workshop leader in the UU community. Barnwell, a former member of the vocal group Sweet Honey in the Rock, has a deep knowledge of the African-American vocal tradition, and of music’s power to connect, motivate, inspire, and teach. At Summer Institute, Dr. Barnwell will present a five-day version of her award-winning workshop, “Building a Vocal Community,” in which all participants—singers and non-singers alike—will experience the awesome power of the collective human voice, and share the common experience of learning in the oral tradition. Dr. Barnwell will teach us the rhythms and music of the African Diaspora, including chants, ring shouts, and other traditional African songs, as well as African-American spirituals, hymns, gospels, and songs from the Civil Rights Movement. We will also learn the historical, social, and political contexts of the songs we are singing. Together, from an African-American world view, we will explore the values imbedded in the music; the role of cultural traditions and spiritual rituals; the ways in which leadership emerges and can be shared by and among community members; the nature of cultural responses to and influences on political and social struggle; and the significance of a shared communal experience in one’s personal life. When uncommon voices are blended for the common good, we become a ‘vocal community’ at our best. Come share in the experience of building beloved community through a collective voicing of our shared joys, concerns, and humanity. All that is required is a willingness to open your mouth and make a joyful noise! Dr. Ysaye M. Barnwell is a native New Yorker, currently living in Washington, D.C. She is the only child and the perfect blend of her mother, a registered nurse, and her father, a classical violinist. Barnwell studied violin for 15 years beginning at age 2½, and after studying music in high school, went on to earn degrees in Speech Pathology (Sc.B. SUNY Geneseo, 1967; Sc.M. SUNY Geneseo, 1968; Ph.D. University of Pittsburgh, 1975), and Public Health (Sc.M. Howard University, 1981). Dr. Barnwell performed as a vocalist and instrumentalist on worldwide tours and on over thirty recordings with the vocal group Sweet Honey In The Rock, and composed many of their songs. For the past thirty years, she has spent much of her time off-stage working as a master teacher and choral clinician in African-American cultural performance. She has been commissioned to compose for numerous choral, film, video, dance, and theatrical projects over the years, including Sesame Street, Dance Alloy of Pittsburgh, David Rousseve’s Reality Dance Company, The New Spirituals Project, GALA Festival Choruses, MUSE: Cincinnati’s Women’s Chorus, The Steel Festival: Art of an Industry (Bethlehem, PA), and The King’s Singers in England. For her professional accomplishments and her musical and cultural contributions to society, Dr. Barnwell has been awarded honorary degrees from SUNY Geneseo (1998), Meadville Lombard Theological Seminary (2009), Virginia Theological Seminary (2011), and, along with the other members of Sweet Honey In the Rock, Chicago Theological Seminary (2012). Have you ever found yourself in a culture that wasn’t your own? Have you always lived in a wider culture that wasn’t your own? Insights from intercultural encounter can help us understand the challenges and opportunities of living in and building diverse communities. This program will help you be leaders of this work in your own contexts. The Rev. Dr. Matthew Johnson is senior minister of the UU Church, Rockford, IL. This is his 3rd SI. He’s passionate about how institutions can adapt to the world we live in, and are building together. Ever wanted to learn Yoga? Already a practicing student? Just interested in what all the yoga folks are talking about? Great! Join certified yoga instructors Jeremy Brauning and Maggie Comstock for a calm and uplifting experience. In this workshop, they will explore the different styles of breathing, yoga poses, and guided imagery. This workshop encourages all ages and levels to experience the beautiful art that is yoga. Participants may bring yoga mat, blanket, or props as needed. Jeremy Brauning and Maggie Comstock have been life-long UUs with a friendship that blossomed through this community over two decades ago. They learned at a young age to be peaceful and kind to everyone and both love to be able to teach this through yoga. Both instructors have a yoga 200 hour certification. The Rev Dr. Kendyl Gibbons developed a set of Unitarian Universalist spiritual practices over 10 years ago. Each of these develop our souls and help us live calmer and more peaceful. By developing muscle with these practices, we develop a deeper understanding of being human and humanity. Each day we will concentrate on one of these practices and report back our experience. No deep breathing, no physical exertion, no need to take notes. Simple meditations will be included. Participants may bring an item for the altar that reminds them of their humanity; a folder for storing handouts. Note taking materials are optional. The Rev Rosemarie Newberry is the minister at the UU congregation of Queens, NJ. She has served congregations in NJ, Cleveland and Long Island. She has also worked as a chaplain for adults with developmental disabilities. She is active in EqUUal Access being a strong advocate in our association. Before we had sewing machines, we had thread and needle. Rather than haul lots of equipment, all you need is needle and thread, good scissors and your choice of fabrics. Perhaps you have garments or fabric remnants from a special person or time. These make wonderful memory quilts. We will use Foundation Piecing on pre-marked fabric or paper (provided). No previous sewing experience is required. One of the best parts of the traditional quilting bee was the sharing of stories or concerns. Bring your stories, your creativity and your favorite fabrics. Participants should bring: sewing scissors, hand sewing needles, straight pins, neutral colored all-purpose or cotton thread, fabric. Many have recently connected to their ancestry roots through DNA testing, others feel drawn to ancient cultures without explanation. This workshop links an exploration of our personal roots to our Unitarian Universalist sources and invites a deeper connection to both though activities and discussion. Roots and sources – Tree roots, family trees, cultural roots and their impact on our worldview Rituals and ceremonies – circles and drumming Places of deep connection – both natural and designed Wisdom, spirituality and beliefs – similarities and differences among cultures Myth and Story – an invitation to share a story that moves or identifies each of us. Participants should bring written passages, songs, pictures, drums, flutes, sketch pad and/or items for an altar if you wish. Jeanne Crane is a retired organizational consultant, leadership and life coach. She worked with OMD and UUA for two years before CERG. Presently, she writes and gives presentations about her travels in Ireland and to the Neolithic sites of Celtic lands. She was drawn to Unitarian Universalism because of our unique and rich embrace of multiple sources. Her latest book, Amidst the Stones of Celtic Ireland, can be previewed on Amazon. The threat of climate change calls for a revolution in our way of life, toward a sustainable future. Permaculture offers this revolution in the brilliant disguise of a gardening fad that is really developing a deep understanding of the complex workings of natural systems. Renee will share the basic principles of Permaculture, how they connect with UU Principles. She will share examples of how she is implementing biological principles in her back yard garden and social principles in her work as UUA Congregational Life Staff. Participants will practice the principles by designing their own project. Participants should bring a notebook. Rev. Renee has served as Central East Regional staff since 2010. On her recent sabbatical, she studied permaculture by taking a two-week intensive design course, spending a week on a Permaculture farm in Latvia, and designing and creating her own permaculture backyard food forest with her husband Randy in Kent, OH. Design your own artful embroidery while learning stitches, design tips, pattern transfer techniques, and framing methods. With the knowledge of a few easy stitches you can create trendy, quirky, and heirloom pieces. Join me for fresh perspectives on embroidery, hands-on instruction, inspiration, and resources. Enjoy a little slow time as we practice this relaxing, centuries-old meditative art. Kim has been embroidering since her aunt taught her Candlewicking and “Chicken Scratch” techniques over thirty years ago. Since then she’s explored and completed pieces in Blackwork, Drawn Thread, Ribbon Embroidery, Surface Embroidery, Knotwork, and Whitework. She’s currently having fun creating her own designs and “free-styling”, making it up as she goes. Heat waves, droughts, and rising ocean acidity threaten the interdependent web of our existence. Shortages of food and fresh water are already producing contention for diminishing resources that undercuts human dignity and fosters authoritarian societies. Scientists now tell us that another decade without strong action will lock us into a frightening future. This workshop will explore specific actions we can take in our home and church lives to confront the climate crisis. We will examine our household and church carbon footprints to discover the most effective actions we can take, as well as ways to engage other churches and the larger community. Finally, we will consider collective actions we can take as citizens of the nation and the world. Participants are invited to bring enthusiasm. Cindy Frantz is an environmental psychologist and activist who has taught at Oberlin College for 15 years. She belongs to the Oberlin Unitarian Universalist Fellowship and has attended Summer Institute every year since 2010. Bob Mitchell retired in 2014 following a physics and engineering career that ranged from high power lasers to robotic perception systems. For the past eight years, he has been researching and teaching about climate change science, impacts and solutions. He belongs to the First Unitarian Church of Pittsburgh and has been attending SI with his family since 1998. This class is designed to get in touch with certain words or phrases that will hopefully connect with your heart. I will conduct a short guided meditation, then we will let images, words, feelings, colors, whatever shows up in the moment to be expressed on paper with colored pencils. Or just let your pencil start wandering across the page and see what emerges. This is not a thinking experience, it’s a feeling experience. No previse art experience necessary, just come with a curious and open mind. We will have a short discussion about our experience. You may be surprised at what you can do when you go with the flow. Linda is a graduate of Kent State University with a BFA and a minor in education. I’ve had a career in graphic design, and now teacher art classes at local art galleries in my area. I spent six years working at a Buddhist retreat in upstate New York where I learned to meditate. I now live in Ohio and I attend the UU church of Youngstown, where I offer meditation practice. What could you do with a powerful voice? Every day, you’re using your voice to influence, lead, sell, service, heal, advise, teach…and a thousand other critical functions. For a tool you’re using so often…how much do you actually know about how to use your voice? Find out how to use the building blocks of voice through volume, pitch, pace, tone, and melody to unlock your voice that says “You WILL hear me!” Your voice speaks the truth. Express your passion for issues important to you and get the respect and recognition you deserve. Change lives and achieve the life of your dreams…with the power of your voice! Participants are invited to bring a notebook. The White Ally Toolkit Workbook was developed by David Campt, PhD, author, professor and former advisory board member for President Bill Clinton’s Initiative on Race. The toolkit is designed to encourage, empower and equip white folks to have more effective conversations around race. Using active listening, empathy and personal storytelling these conversations can help us not avoid not confront but engage in a way that is more effective. Together we will work through the Toolkit so maybe the next challenging thanksgiving dinner conversation won’t have to end with “you’re a F&$#@King racist! Participants are invited to bring something to write with and a notebook if they wish to take notes; handouts will be available. Deb Lemire is Co-Chairperson of the Racial Justice Task Force of the UU Church of Akron. Like most white folks she struggles with having productive conversations with other white people about race, particularly those that deny or minimize the impact of racism on us all. Deb is an artist, organizer and advocate. Jung said “Who looks outside dreams; who looks inside awakes.” In this hands-on workshop, we will create Vision Boards, explore personal vision statements and share positive goals and intentions for our future. No art skills required. Gain clarity about what you want and put the Law of Attraction to work for you! Participants are invited to bring photos, pictures or any other inspirational print materials to include on their vision boards. Karen created her first vision board on the wall of her bedroom in high school and has returned to this practice at times of transition and growth throughout her life. Join others UUs to watch one memorable & thought provoking aspect of GA each day. Then, we’ll have time for questions and conversation about what this means for us individually & as a faith community. Will include the Ware Lecture, Sunday morning sermon, Service of the Living Tradition sermon, a highlight reel of General Sessions, and a mystery pick by Debra. Debra just finished her eighth year of service on the G.A. Planning Committee. As a “G.A. Junkie” she is excited to share how our largest UU gathering can deepen our experience of UU personally, within our UU communities and the larger world. Are you already exploring your relationship to your gender? Curious about your gender? Curious about the history of concepts of gender? Wondering where gender shows up in religious texts and spaces? Wanting to get your mind and spirit flowing through creative conversation and play? Come and explore how gender expression, societal expectations, the patriarchy, and our spiritual roots connect us to who we are! We will be connecting with the roots of our internal understanding of gender in mind, body, and spirit, through guided conversation and creative response. You do not need to know lots of things about gender theory, queer theory, or trans people in order to attend this course. We will work to create a space in which brave sharing about tender pieces of ourselves can occur, so this space will be most suited to those seeking a deep listening, playful, and connective experience rather than debate or “theoretical” understanding of trans experience. Participants are invited to bring a notebook, a willingness to believe the experiences of marginalized people, and their open hearted selves. Participants are encouraged to email or Facebook message Elizabeth with any questions or wishes they may have before class begins so that this experience can be shaped for those attending. Elizabeth Mount is the Director of Religious Exploration at the First Unitarian Universalist Church of Columbus, Ohio and a fellowshipped UU minister. They received their Master’s of Divinity from Meadville Lombard Theological School in 2018. Elizabeth identifies as genderqueer and is a member of TRUUsT, has trained as an OWL teacher for K-12 levels, and as a religious educator stays highly engaged with the ever changing landscape of gender variation in terminology and expression blooming among our children and Youth. How do UU’s read Hebrew and Christian Scriptures? Encountering the Hebrew and Christian Scriptures is rare in many UU worship services, but these texts are among the sources of our living tradition and vital to our history. Maybe you grew up in a tradition that held these texts as the literal word of God or have friends or family members in such traditions. Maybe you have never read the Bible, but you’re curious and wondering where to start. This seminar will give a basic introduction to the Hebrew and Christian scriptures and spiritual reading practices from a UU perspective. How can UUs engage with the Hebrew and Christian Scriptures? What can we learn from these ancient writings? How can this passage speak to me? Participants are invited to bring A curious mind and an open heart. Understanding the Bible by John Buehrens (available through the UUA Bookstore. We won’t spend class time reading Understanding the Bible, but you might want to read it ahead of time, or during your free time for more context. Amanda Hays is finishing her M.Div. at Meadville Lombard Theological school and her ministerial internship at First UU Columbus in Spring 2019. She grew up evangelical, became agnostic while earning her master’s from Calvin Theological Seminary, and loves to nerd out about the Bible. SI choir is back and promising another year of musical fun and adventure. This once a year magical experience is not your average church choir. All are welcome. “Unleash the Magic and the Voice! Participants should bring: A Black 3 ring binder. Music director at the UU Church of Kent, Hal Walker returns to Summer Institute for his 22st year of music leadership. Hal’s true passion is melody, harmony, rhythm and building community through music. Vanessa Vesely is the accompanist at the Kent Church. At Duct Tape workshop, you will be creating your masterpieces out of all kinds of color and patterns. Most of the workshop is on construction of wallets, pull string backpacks, beach bags, and many more items. Duct Tape is not just a tool in your toolbox anymore. Participants may wish to bring two rolls of tape in different colors or patterns if they wish to make a grocery bag. Basic colors and patterns available for participant use. Sara has been creating and fabricating all kinds of pieces out of Duct Tape for years as well as a vast knowledge on how to construct many things. Join us as we find ways to decorate ourselves! In every culture there have been explorations into how our appearances define us as well as the desire to change that appearance. Come play with different mediums, from hair dye to henna to tattoos and nail polish. It’s a wonderful way to relax on a summer afternoon. Deb Cannon loves combining her love of art and her love of play to lead this workshop. It only gets better each year, as more people bring their talents and ideas to the space. Fun, good sportsmanship, safety and community are all goals of this afternoon gathering. Two indoor courts will be set up for each weekday afternoon. The workshop will occur during the early afternoon and be available for those in middle school and older. John began playing volleyball in his early twenties and has played in a competitive coed league for over 35 years with his beautiful wife Suzan and more recently his son Connor. Each day will begin with introductions and warm up drills working on setting and passing technique. Everyone’s volleyball skill level will improve during the week and a fun time is a sure thing. Participants should bring: Indoor court/tennis shoes (playing barefoot is not an option) and a refillable water bottle. John McCrystal and his family have been attending SI since 1986. He was involved in the youth program for over a dozen years. As the Youth Program leader for two years he introduced the Youth Panel that is still in place and provides well rounded input from and learning by the youth. He was recently the Board President of First Church Columbus where in the past he has taught Sunday school, been on two search committees in addition to many other committees. Let’s make art together, with a focus on upcycling (using items that might otherwise end up in a landfill). We will play with fabric, beads, papers, markers, rubber stamps, wine corks and fun stuff I find at the Upcycle Parts Shop in Cleveland. I will provide ideas and examples of crafts but your own imagination and creations are encouraged. Each day there will be a focus craft along with a project that can be added onto daily that can culminate in a piece of art by the end of the week. Natalie, a member of First Unitarian Church of Cleveland in Shaker Heights, is a fiber artist who has been quilting and creating her own fabric for over 30 years. She also likes to dabble in paper arts, watercolor and assemblage. She has the most fun when creating with her two very artistic teenagers. Spread the Love: decorate rocks to hide, give away or keep for yourself! We will have instructions and samples for dot painting, like making dot mandalas. Or, just paint the rocks however your SI spirit moves you! All materials will be provided. Relax, be creative and have fun! Denise learned how to dot paint last summer at SI and has been busy painting rocks since then. She has been crafting and collage making since childhood. She previously ran a collage making morning workshop at SI. In 1866, The Black Crook premiered on Broadway, ushering in a new form of entertainment, a musical. In the next century and a half, the musical would evolve, echoing the social changes and adjustments of the time, until a rap musical about the American Revolution seems perfectly natural. Through Original Cast Recordings and other versions of the music, as well as clips from film versions and tapes of Broadway performances, we will look at these shows, from Showboat through the forthcoming Pretty Woman, enjoy the music, and discuss what brought us to this point. Bruce Kent has a Bachelor’s Degree in Theatre Arts from State University of New York College at Cortland, and a Masters’ from the University of Tennessee in Knoxville. In the decades since, he has continued his study of musical theatre by attending whenever he could, and working on productions in various aspects, including directing and writing. Having attended SI since 2002, he has served mainly as editor of the week’s newsletter, and has spent the last three years on the SIPC. Share your voice and spirit through the heartbeat of the drum. Drum rhythms and songs, drum circle facilitation techniques, and shamanic journey drumming for personal introspection and self-healing. All experience levels. You must bring a pedestal type drum, i.e, ashiko, djembe. MUST bring a pedestal type drum such as an ashiko or djembe. Rebekah has been facilitating drum circles for over 25 years, for area communities, outreach shelters and health agencies. She is founder of Terra Amma Spiritual Center, and uses crystal singing bowls in weekly sound vibrational healing sessions. She is also a member of the Ethical Metalsmith Guilde and creates adornments from recycled metals, fair trade beads and gems. Permaculture: A sustainable way to design your home, yard and more. I will give a basic over view of Permaculture design including, what it is, the principles, why and how. You will be able to use these tools to look at assess and make your own basic designs! If possible we will all complete a sample design by the end of the week. It may only be the design of your own garden, so don’t be intimidated. Participants are encouraged to bring materials to take notes, if desired. David grew up gardening; learned to forage food for survivalism and naturalism.